Putative President Barack Obama’s enablers are out and about making their straw man arguments in order to win the presidential eligibility issue. “A straw man is a component of an argument and is an informal fallacy based on misrepresentation of an opponent's position. To ‘attack a straw man’ is to create the illusion of having refuted a proposition by substituting it with a superficially similar yet unequivalent proposition (the ‘straw man’), and refuting it, without ever having actually refuted the original position.” http://en.wikipedia.org/wiki/Straw_man. In arguing that putative President Barack Obama is an Article II “natural born Citizen, his defenders maintain that the “birthers” are wrong in believing otherwise because there is no requirement that one’s parents must be born in the U.S. to be a "natural born Citizen." This is a straw man argument given that it suggests that this is the “birthers’” argument when in fact it is not. This is not the only straw man argument that we have seen Obama’s enablers advance. We have seen their effort to win the Obama eligibility issue by misrepresenting the constitutional argument (e.g., they argue that a “natural born citizen” is the same as a “citizen” and then they set out to show what historically a “citizen” is and publicly concentrate on the place of birth issue but suppress from the same public the constitutional argument on the meaning of an Article II “natural born Citizen”); they present for public display “birthers” who may defend the constitutional position poorly as best defenders of that position; they invent a fictitious persona with actions or beliefs which are then ridiculed and criticized (they have invented the “birther” who they attack as being a racists and/or attached to nothing but conspiracy theories or in the words of Obama himself: "We're not going to solve our problems if we get distracted by carnival barkers and sideshows." [Barack Obama, April 27, 2011, in reference to Donald Trump]); and they oversimplify our constitutional position and attack that position (e.g. they mock the “birthers” for saying that a “natural born Citizen” is a child born in the country to citizen parents and add that a simple facial reading of the Constitution’s text contains no such requirement). They also use the slippery slope fallacy, saying that there is no reason for Obama to release any medical or other evidence proving his Hawaiian birth because the “birthers” will never be satisfied with no matter how much documentary evidence of his alleged Hawaiian birth Obama may present to the public. None of this is even to mention the unfounded charges of racism and other and various ad hominem attacks against anyone who would dare question Obama’s Article II constitutional eligibility to be President. Now let us see how Obama’s enablers’ statement that the “birthers” put forth the argument that the President’s parents must be born in the United States is nothing but a straw man argument. First, we do not maintain that the parents need to be American born. Rather, we maintain that they must be "citizens of the United States," which status they can acquire by being "natural born Citizens" or naturalized at birth or after birth. The parents must be “citizens of the United States,” under any one of three scenarios: (1) “natural born Citizens” under Article II by being born in the U.S. or its jurisdictional equivalent to U.S. citizen parents; (2) naturalized at birth, under the 14th Amendment or 8 U.S.C. Sec. 1401(a) by being born in the U.S. to one or two alien parents or other Congressional Acts by being born out of the U.S. to one or two U.S. citizen parents; or (3) naturalized after birth under some Congressional Act or treaty when born out of the U.S. to two alien parents. Second, these same individuals also confuse an Article II “natural born Citizen” with a "born citizen" under the 14th Amendment or 8 U.S.C. Sec. 1401(a) which as currently interpreted do not require U.S. citizen parents in order declare one a “citizen of the United States” at birth. This latter citizen, lacking the natural quality of being born to two U.S. citizen parents, is actually naturalized at birth by way of Congressional naturalization power at first questionably exercised by Congress through the Civil Rights Act of 1866 and then unquestionably exercised by it through the 14th Amendment. Today, we commonly refer to this citizen as a “native-born citizen,” not to be confused with a “native” under natural law and the law of nations which has the same meaning as a “natural born citizen.” On the contrary, to be an Article II "natural born citizen," one must be born in the U.S. (or its jurisdictional equivalent) to a U.S. citizen father and mother. Emer de Vattel, The Law of Nations, Or, Principles of the Law of Nature, Sections 212-217 (London 1797) (1st ed. Neuchatel 1758); Minor v. Happersett, 88 U.S. (21 Wall.) 162, 167 (1875); U.S. v. Wong Kim Ark, 169 U.S. 649 (1898). See also the many other legal and historical sources cited at this blog site for support for this definition. The Founders and Framers wanted to make sure that no hereditary monarch could ever gain control of the new constitutional republic and to keep foreign influence out of the all-powerful and singular office of the Chief Executive and Commander of the military. These birth circumstances assure that the President and Commander of our military cannot be of royal parents (a U.S. citizen must renounce all titles of nobility) and has sole and undivided natural allegiance to the U.S. from the moment of birth by the child not inheriting any other foreign allegiance by jus soli (citizenship by right of the soil) or jus sanguinis (citizenship inherited from one’s parents). Only the President and Vice-President have to be an Article II "natural born Citizen." The great majority of Americans are “natural born Citizens.” For every other citizen in the U.S. who is not a “natural born Citizen,” the clause has no constitutional or other legal effect, for “citizens of the United States” all enjoy equality in rights, privileges, and immunities. 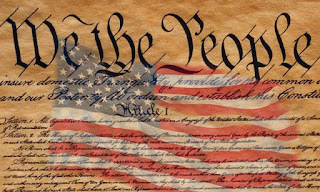 Hence, the clause is in place only to protect the United States and its people by assuring that our representative constitutional republic will be lead by a President and Commander in Chief who from birth is attached to the best interests and only that of the United States. Obama is not and cannot be an Article II “natural born Citizen.” He maintains that he was born in Kapi’olani Hospital in Hawaii in 1961. But he has yet to conclusively establish that fact with a valid long-form Certificate of Live Birth or with any medical evidence. Rather, on April 27, 2011, after refusing to do so for over 2 ½ years and spending or causing to be spent countless millions of dollars of public and private funds and resources and even the 6-month imprisonment of a decorated military officer, LTC Terry Lakin, he released on the internet a forged internet image of his alleged long-form Certificate of Live Birth. This computer image is a forgery, as it contains evidence of electronic manipulation. Even if the internet image is a true representation of the alleged underlying Certificate of Live Birth, that underlying paper birth certificate, which is supposed to be a document filled in with a typewriter in 1961, is a forgery, for it contains evidence of kerning (a technique of spacing letters next to each other for aesthetic purposes) which cannot possibly be done on a typewriter in 1961. Also, there exist significant questions regarding whether Obama is using a valid social security number and whether his selective service military registration was also forged. In any event, assuming the released birth certificate image to be valid, it conclusively establishes that Obama’s legitimate father was Barack Obama Sr. So, even assuming that Obama was born in Hawaii, he can be a “born” “citizen of the United States” under the 14th Amendment or 8 U.S.C. Sec. 1401(a), but he cannot be a “natural born” “citizen of the United States” under Article II. Under the British Nationality Act of 1948, Obama was born in 1961 to Barack Obama Sr., a British citizen father who was born in 1934 or 1936 in the then-British colony of Kenya and by descent from his father he himself was born a British citizen. He was therefore born with conflicting and divided loyalties to the U.S. and Great Britain, which under the Kenya Independence Act of 1963, converted to citizenship and allegiance to Kenya at age 2 which lasted until at least age 23. Consequently, Obama, was naturalized at birth and, like a person who is naturalized after birth is not eligible to be President, was not born with sole and undivided allegiance to the U.S. Obama is thus not and cannot be an Article II “natural born Citizen.” Obama is therefore not eligible to be President and Commander in Chief of the Military. Why Doesn’t Obama and the State of Hawaii Release Real Evidence of Obama’s Alleged Birth in Hawaii? 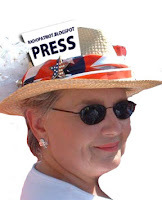 We have seen many on-line presentations showing the American public that Obama’s recently released alleged long-form Certificate of Live Birth is a forgery. It is now time for Obama to release real evidence of his alleged birth in Hawaii. That real evidence is medical evidence. Obama alleges he was born in Kapi’olani Maternity & Gynecological Hospital, now called Kapi’olani Medical Center for Women and Children. He has also recently released his alleged long-form Certificate of Live Birth which states that he was born there. Hence, let us see the hospital birth records which name Obama and his mother and father. Let us see other medical records which name Obama and the mother and father. Since Obama has released to the public the name of his alleged birth hospital, he should have no interest in keeping private any medical records which show that he was in fact born in that hospital. Also, he can redact any part of the medical record which he wants to keep private. Additionally, under Section 338-5, Hawaii has the power and authority to obtain medical records from Kapi’olani Medical Center to confirm Obama’s alleged Hawaiian birth. At no time did Hawaii inform the American public that it in fact confirmed with that hospital that Obama was in fact born there which it can do under the cited statute. Hawaii has withheld this underlying evidence from the public. 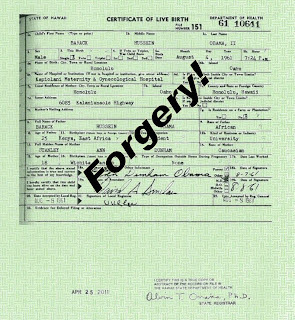 This withholding of evidence is a grave matter given that the recently released birth certificate has been adequately shown to be a forgery which creates such reasonable doubt as to whether Obama was in fact born in Hawaii. Under Section 338-5, any birth certificate has to be completed and filed by some institution (hospital) or person (doctor, midwife, or parent). This statute also shows that Hawaii has the authority to confirm any reported birth by examining medical records. While Hawaii pretends to have come clean with the American public, it did not even provide such basic information or conduct such due diligence regarding extant medical evidence which would give the public that needed assurance that Obama’s birth record is genuine. With the State of Hawaii having such authority under Section 338-5 to confirm through medical records that a birth in fact occurred in a Hawaiian hospital, why have we not heard that the Hawaii Health Department has any of this evidence in its files? We should also consider that Governor Abercrombie also did not confirm for the American people that the Obama birth file in Hawaii in fact shows that his birth event is corroborated with medical evidence from Kapi’olani Medical Center as is required by Section 338-5. Are we to reasonably believe that there exists no medical evidence confirming Obama’s birth in Hawaii that any one in Hawaii can share with the American people? For a complete list of evidence of citizenship and identity identified by Medicaid, see http://www.ctelderlaw.org/HealthCare/Citizenship%20FactSheet%207%202%2007%20(2)%20(2).pdf. Out of all this evidence which can be used to prove citizenship and identity, what have we seen Obama and his enablers produce? The answer is a resounding “none.” If Obama wants to sell a lot of tee shirts proclaiming his birth in the U.S., let him put a copy of a Kapi’olani medical record on the tee shirts rather than the fake birth certificate. Some believe that the "birthers" should be embarrassed. They believe that Obama could have released his birth certificate a long time ago, but instead suckered the “birthers” in and then at the opportune time, released the document for maximum political gain. They conclude that Obama is a very clever guy and has therefore won the birth certificate game. At worst, this is Obama’s enablers’ continuing fraudulent cover for Obama and at best their wishful thinking regarding his hoped-for political cunningness. Obama is not clever at all. It took him over 2 and ½ years to finally release his long-form Certificate of Live Birth. I do not believe he held on to that certificate for some political advantage. Even if the birth certificate is real, he has lost millions of voters for his cowardly conduct in not releasing it in due course to the people he is supposed to serve like a normal Presidential candidate should. His conduct is even more reprehensible given that his alleged long-form Certificate of Live Birth does not contain any information which he would have had any interest in keeping confidential and he has caused our nation to lose incalculable millions of dollars in public and private time and resources arguing about his birth certificate. And let us not forget that he allowed a highly decorated military officer, LTC Terry Lakin, to go to prison for 6 months rather than just release the document. Even though Obama has released a computer scan of his alleged long-form Certificate of Live Birth, there is still an open question whether the underlying paper birth certificate is real. We can hardly say that it is real when the underlying paper document which was supposed to be filled in with a typewriter in 1961 shows evidence of kerning (a certain way letters are graphically printed which cannot be done with a typewriter in 1961). But in the end, even if the birth certificate is real, it proves Obama is not an Article II "natural born Citizen," a child born in the U.S. or its jurisdictional equivalent to a U.S. citizen father and mother. This means that a “natural born Citizen” inherits his or her allegiance and U.S. citizenship from being born to U.S. citizen parents and from being born on U.S. soil rather than acquiring them from a positive law which is what a naturalized citizen does. This positive law naturalizes a person to be a U.S. citizen “at birth” when he or she is born abroad to one or two U.S. citizen parents (missing U.S. place of birth and in some cases also at the same time only having one U.S. citizen parent) or born in the U.S. to one or two alien parents (missing two U.S. citizen parents). Obama's father was born in 1934 or 1936 in the British colony of Kenya. Under the British Nationality Act of 1948, he was born a British citizen (a “Citizen of the United Kingdom and Colonies”). While he came temporarily to America on a student visa to study, he never became nor ever intended to become a U.S. citizen. Hence, when Obama was born, his father was a British citizen, and under that same Act Obama himself inherited from his father British citizenship. Obama, if born in Hawaii, therefore, did not inherit his U.S. citizenship from his natural parents but rather acquired it by positive law, i.e., the 14th Amendment or 8 U.S.C. Sec. 1401(a), which naturalizes persons who are born in the U.S. but lack two U.S. citizen parents to be U.S. citizens “at birth.” Hence, Obama can be a “citizen” under the 14th Amendment or 8 U.S.C. Sec. 1401(a), but he is not an Article II "natural born” citizen. Obama is therefore not eligible to be President and Commander of our military forces. Obama loses any way he turns or pretends to turn. When Will Congress and the FBI Investigate the Suspicious Circumstances Involved With Obama’s Alleged Long-Form Certificate of Live Birth? WND reports today that the Obama Certificate of Live Birth released on April 27, 2011 which appears on the White House web site( viewed here http://www.whitehouse.gov/sites/default/files/rss_viewer/birth-certificate-long-form.pdf ) has the Hawaii Department of Health State Registrar’s stamp which contains what appears to be a typographical error. The stamp, which was affixed on April 25, 2011, says “TXE RECORD.” But when viewing a different Hawaii long-form birth certificate with a stamp affixed on March 15, 2011, the same stamp shows “THE RECORD.” Read more: New 'birth certificate' anomalies inexplicable http://www.wnd.com/?pageId=298101#ixzz1MHHSmIr1 Why would a stamp affixed just about one and one-half months before not contain the same error? Does the Hawaii Health Department have two stamps? Why would the clerk’s office use a stamp with a typographical error on the birth certificate of the President of the United States, especially in the context of the on-going constitutional crisis regarding the question of whether such a document existed? So, how does Guthrie feel a raise seal on that document but a scan of allegedly that same document does not show any raised seal? Is WND sure that there is no sign of any raised seal on the White House scan? Is there no computer expert in the land that can confirm the presence of any raised seal on the White House image? Is there such an expert who can tell us that if Guthrie was able to feel a raised seal, the seal should appear on a scan of that same document which now allegedly appears on the White House web site? Assuming that Guthrie really did feel a raised seal and there really is no raised seal on the White House scanned image, what is going on? Now we also find out that Guthrie took a picture of the Obama Certificate of Live Birth. Was she the only person who would have been allowed to take such a picture? If so, why just her? That picture allegedly shows that there is a seal on the Obama newly-released document. The photograph can be viewed at http://www.obamaconspiracy.org/2011/05/be-sealed/#comments. But why does Guthrie’s photo show a raised seal and the White House scan image of allegedly the same document does not? In addition to the question of the typographical error and raised seal, we have seen so many other anomalies with the Obama scanned White House image related to layering, image pixel duplication, the Stanley Ann Dunham signature created in part by computer graphics rather than a pen, and kerning on what is supposed to be a scanned image of an underlying document completed with a typewriter in 1961. Apart from signatures created by computer graphics, a typewriter simply could not produce in 1961 kerning and duplicate letters or images which show up as pixel duplication on the computer scan. Moreover and what is the smoking cannon of common sense, we have yet to see any confirmation from Kapi’olani Hospital of an Obama birth there or any other medical evidence confirming such a birth there. Where is Congress and the FBI to complete a full investigation of this matter and report their findings to the American people who they are supposed to serve and protect? Such an investigation and report are desperately needed to put the matter of Obama’s place of birth finally to rest. According to a new Gallup Poll reported by USA Today, only 47 percent of those surveyed say they think Obama was "definitely" born in the United States. And 8 percent say he "probably was." We saw the amount of doubters decrease after Obama’s recent release of his alleged long-form birth certificate. Why would Obama not welcome such an investigation which if he is telling the truth should reduce the number of doubters even more? Putative President Obama’s recently released on-line computer image of his alleged paper long-form Certificate of Live Birth has evidence of “kerning.” Web expert, Karl Denninger, has made this discovery. His article can be read at http://market-ticker.org/akcs-www?singlepost=2534123. This discovery was also reported by WND and is contained in an article written by Bob Unruh which can be accessed at http://www.wnd.com/index.php?pageId=295189. Kerning is not possible with real typewriter lettering because of the mechanical and spacing limitations presented by a typewriter. 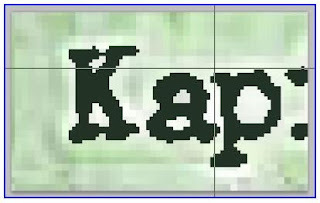 But it is quite normal with “typewriter lettering” simulated by using a computer which has the technological capabilities and programs which when simulating typewriter lettering can produce the kerning style. This is damaging evidence when we consider that the information on Obama’s 1961 pre-printed Certificate of Live Birth would have been filled in by hand or with a typewriter of that time period and not by a computer. 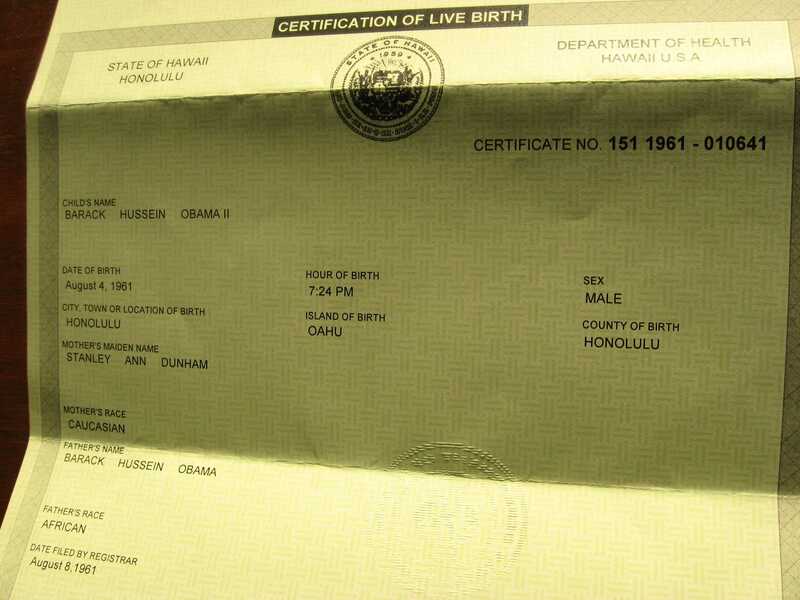 Assuming that the on-line image released by Obama is a true image of the actual paper Certificate of Live Birth in the vault of the Hawaii Department of Health, this evidence conclusively proves that the paper Certificate of Live Birth is a forgery. Atty Mario Apuzzo and CDR Charles Kerchner (Ret) were on the Andrea Shea King Radio Show tonight - Tuesday 3 May 2011 @ 9:15 P.M. EST. Subjects discussed were the Obama Birth Certificate Fraud, Draft Registration Fraud, and the SSN Fraud along with the Obama constitutional ineligibility to be the President and Commander in Chief of our military along with any other questions brought up by the hosts or callers. Obama's draft registration was faked and back dated. Also see Miss Tickly's slam dunk analysis that the Obama long form BC placed online on the White House servers is a complete forgery. And more proof here that the Obot disinformation fun and games they play excuses are all a bunch of malarkey ... the Obama long form BC placed on the White House servers was a complete and total forged and assembled PDF document file and was NOT a scanned in image. Federal lawsuit* accuses putative President Obama of Selective Service (Draft) Registration fraud and that he is fraudulently using a Social Security Number which is legally not his and which was issued only to residents of the State of Connecticut, a state where Obama never legally resided and certainly not during the time frame of circa 1977 when that SSN was issued! This Social Security Number is reserved for the people of Connecticut NOT Hawaii. Obama never lived in Connecticut, and he certainly wasn't living there when the number was issued in 1977, rather he was a 15 year old attending high school in Hawaii. This Connecticut geographic region SSN was used by Obama to register for the Selective Service System. Obama was either in HI or in CA attending Occidental College during his late teens when he was required to file and register with the Selective Service System. 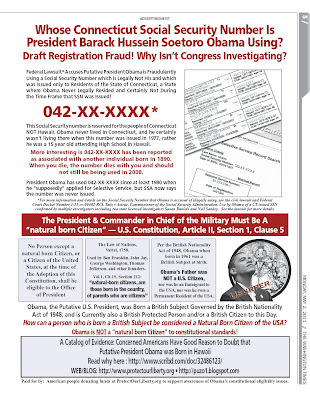 Investigations by various sources reveal that this draft registration was not done by Obama when required by federal law to as a teenager or young adult but was done circa 2007 in preparation for his run for the Presidency and was done using the stolen SSN he has been using since 1986. The Selective Service (draft) registration was illegally entered into the Selective Service System via the Chicago IL central USA regional processing center circa 2007. The entry was illegally back dated to 1980. Use of this SSN by Obama as recently as the year 2008 has been confirmed by two private investigators - Susan Daniels and Neil Sankey. See the federal lawsuit for more details. When is Congress and FBI going to investigate Obama for all the unconstitutional, nefarious, illegal, and criminal activities he is engaged in? Atty Mario Apuzzo and CDR Charles Kerchner (Ret) were on the Les Naiman radio show, WGTK 970 in Louisville KY, hosted by Les Naiman, on Sunday, 1 May 2011 at 6:10 p.m. EDT. The subject will be the Obama eligibility issue and the recent action by Obama in releasing an alleged long form birth certificate image onto the internet on the White House website. The image has been declared a blatant forgery by several document experts. Further comparisons here. It was created out of whole cloth in the same vein as the original short form Certification of Live Birth forgery image released onto the net in June 2008 by the Daily Kos website and by Obama's Fight The Smears website. Obama has not presented any paper documents issued directly from the State of Hawaii Health Department to any controlling legal authority. All we have are internet images. In the age of PhotoShop and Adobe Illustrator software no one should trust any image on the internet. Especially for the vetting of political candidates. One thing is different this time. Obama himself has claimed ownership of this latest round of suspicious internet images. He cannot say someone else did this and he knew nothing about it. He personally owns this deception and misinformation process and issue completely now.